At Transcend Staffing Solutions LLC. we are committed to an effective and scalable supplier diversity program bringing more visibility and reducing biasness at the decision making. Our Motto is to serve our clients and community with the best, for us it’s just not a business it’s a Mission. 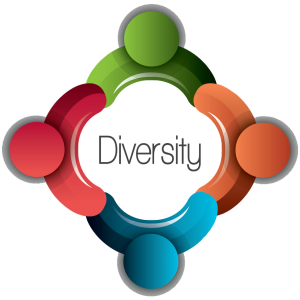 Being Women Owned Diverse Staffing Firm, bringing great diversity workforce to the workplace is always our top priority, diversity doesn’t just happen on its own, and we actively seek, engage and recruit candidates from a variety of diverse backgrounds. Our outreach begins with networking groups, alumni associations, community colleges, small communities and other social media networks that function as a hub for the program which brings inclusion of Women, Minorities, Disadvantaged, Veterans, LGBT, Small businesses, and Service-disabled veteran-owned businesses. We attend conferences and networking events sponsored by those organizations that cater to diverse populations. When we proactively seek to attract a diverse pool of candidates for our vacancies, we are more likely to identify the most suitable skills and experience. With a team as diverse as the types of businesses we work with, this broad spectrum of experiences, cultures, languages and ideas allows us to bring a fresh eye and an open mind to any sort of business we work with. Transcend thrives in fast-paced, high-demand industries. © Copyright 2017, Transcend Staffing Solutions LLC.